Design and Colour in Watercolour is a book that looks at the thought and painting process of Michelle Scragg with her paintings as examples. This is not an instructional book so if you expect one, you might be disappointed by the lack of demos and instructions. 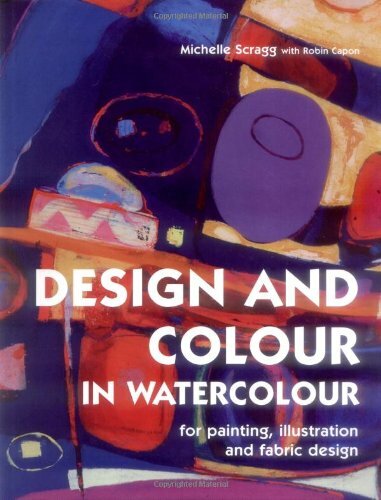 Scragg is a reowned watercolour artist with experience in fabric design and she shares her tips in this book from the years of experience she has, first working as a fabric colourist before turning to painting full-time. The content is insightful but not unique as there are many other artists who have talk about the same things, like how to preserve whites, vibrancy of the colours, and other tips. As such, readers who are more familiar with Michelle Scragg's work should enjoy this book more because this book is about her and her process. There's nothing really technical and much of the explanations are on the approach. Highlight of the book to me are the beautiful paintings and you can see more on her website. Overall, the book is interesting to read through but those who follow Scragg's paintings will appreciate it more.